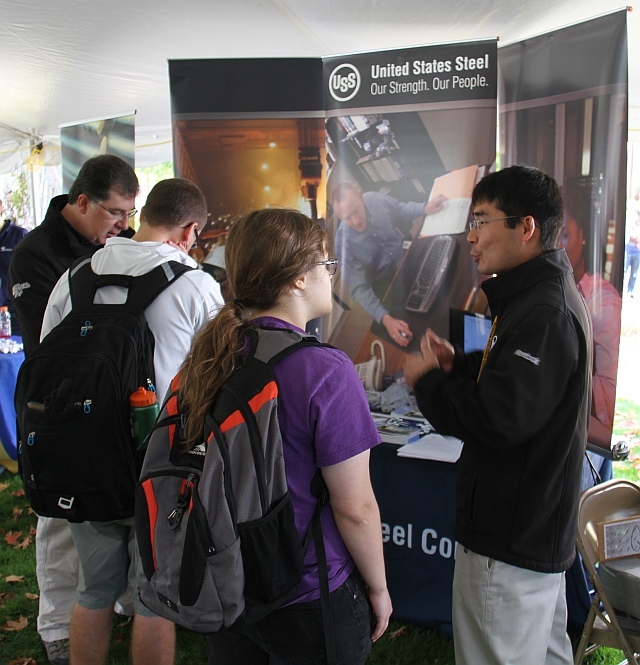 Steel Day was held at Michigan Tech on Wednesday, Sept. 24, featuring an expo, a cookout, an expert panel and steel trivia. Representatives from 10 companies, ranging from mass producers to forgers who craft unique alloys, were here to share their experiences and talent needs for now and the future. Steel Day is structured to introduce students to exciting careers in an industry that will continue to touch each part of our lives. Company representatives are hoping to build personal relationships with all majors and students of all class levels in an effort to promote careers within the industry. 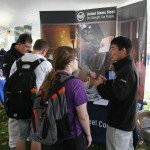 The expo and cookout was at the center of campus under the Career Fest tent from 10 a.m. to 2 p.m. This networking event provides an introduction to an industry that supports the creation of everything from cars to skyscrapers. At 6 p.m., a panel of industry experts will answer questions and talk with students in the Library East Reading Room. Students will have the opportunity to win cash prizes by answering trivia questions on the “manhole cover” stickers on campus. For more details, visit Steel Day.